Adding a fun, colorful nursery area rug is one of the easiest, least expensive aspects of decorating a baby nursery. The right rug can add a whole new dimension to your baby room decor, add a touch of accent color or pull together the different elements of your nursery design. If you have chosen a traditional or country style for your baby room, a rug can enhance the look of the wood and add a cozy warm feel. Or a modern nursery can be jazzed up with a dazzling splash of color. Whichever style of baby nursery you are planning, there is a rug just right for you. You'll find everything you need to know about nursery room rugs right here on this page. If you are decorating your baby room with a nursery theme, you may want to consider adding a coordinating rug. 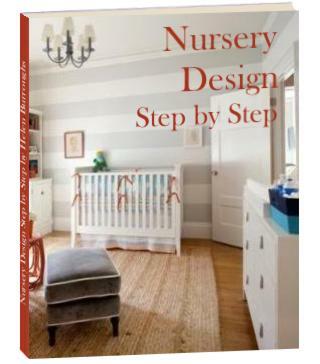 In my experience, a themed nursery rug can either make or break a baby nursery design. But never in between. When you decide to add a themed rug to your baby room you have to get it just right. On this page you will find tips on how to successfully add nursery room rugs to a themed nursery design. 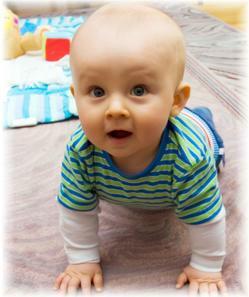 An area rug offers protection for both your floor and your baby, as well as, an easy way to keep your carpet clean. Find out about the multiple benefits offered by nursery room rugs no matter what flooring you have. There are many different types of rugs made from many different types of natural and synthetic fibers. The characteristics of your rug will depend on its construction method and the fiber it is made from. These factors will also affect the cost and durability of your rug, as well as, its suitability for your baby nursery. While natural fibers are a healthier choice, synthetic rugs offer a wider variety of color. Cotton rugs are easy to wash but are not as durable as rugs made with wool. It is important to understand something about nursery area rug fiber types and construction methods before making a decision on the rug you will put in the room with your baby. Because of the unique qualities of the little person who will soon be calling this room home, the rug you put in it will need to meet certain specific criteria not necessarily required of an area rug in other parts of the home. For example, it is preferable that the rug you choose be machine washable. Find out why, and read more about what to look for in a baby nursery rug. Now that you know why you need a rug, what's available and what you should be looking for, it's time to choose the perfect nursery area rug. Problem is, you probably have a few nagging questions, such as how to choose the right size, shape and color. How will you know if the rug you are looking at is the right size for the room? Should you go for a pattern or a solid color? Find answers to these nursery area rug questions and find out how to choose the right baby rug for your nursery room. Get tips here to help you make the most of your nursery room rug including information about rug pads, cleaning your rug and how to get it to lie flat. Everyone's new baby budget can use a break. Find out how to find the best rug for your baby nursery without shelling out the big bucks. Surprisingly, choosing the best baby nursery flooring is probably one of the more difficult decisions you will need to make during the baby nursery design process. Due to an increased awareness of such health hazards as allergens and toxic VOC emissions, things have become somewhat complicated. What to put on the nursery floor is one of the hot topics of the day among soon to be parents. Find out about all your baby nursery flooring options. Although carpet has traditionally been a popular baby nursery flooring, research is showing that it may not be the best for your baby. Find out how to keep your nursery carpet safer for your little one. Because the nursery floor covers such a relatively large surface area, it is becoming widely accepted that any toxins emitted from the baby nursery flooring you choose can have a significant effect on baby's health. Whether you're planning an organic baby nursery or you're just concerned about the level of toxins your newborn may be exposed to, an organic baby nursery floor is a great place to start. I've found the best nursery rugs out there - you don't need to go surfing around all over the internet to find them. Click here for a list of the best places to find nursery room rugs for your baby's special space!